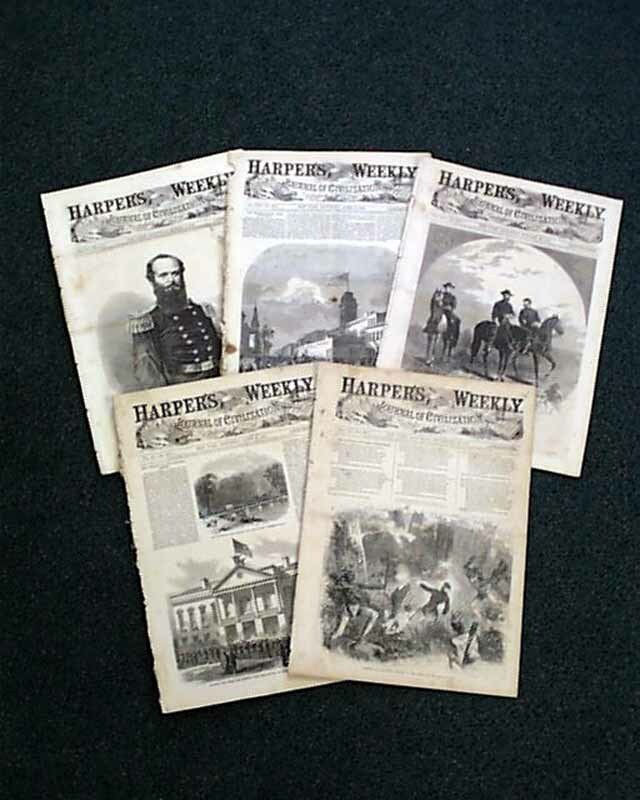 Item # 637512 HARPER'S WEEKLY Civil War lot of 5 issues which we consider "2nd rate". Not what we sell as damaged, but not good enough to be listed as "good" with minor problems and small disfigurements, yet more than half off the regular price. 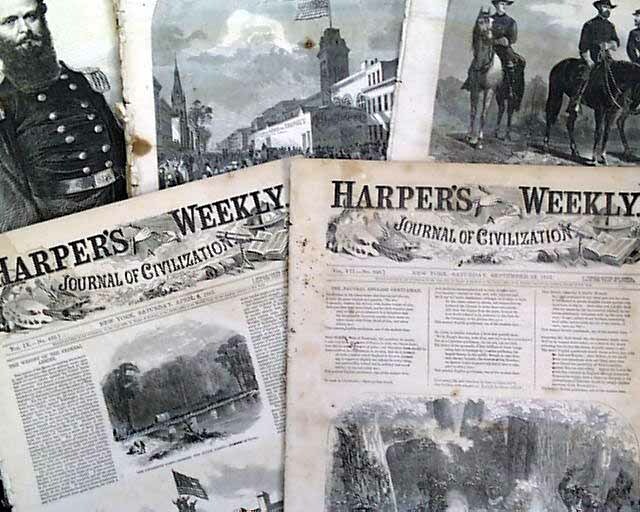 Great for research, classroom use, and still include many Civil War related prints - especially if you do not mind the minor condition problems. The images shown are not of the actual issues you will receive (since these are lots - available in quantity), but are shown to give you an idea of the condition and overall look of the set.